Thank you to the members who attended our AGM last night and to all our supporters who have helped us throughout the year. Please find a copy of the minutes below. Drop us a line if you have any comments or questions. Thanks to all who came to the 2016 AGM on Monday evening, it was a well attended and productive meeting. We are very happy to welcome two new youth representatives onto the committee, and Brian Fox as our new vice treasurer. Thank you to Richard Lingard who is standing down after 2 years. 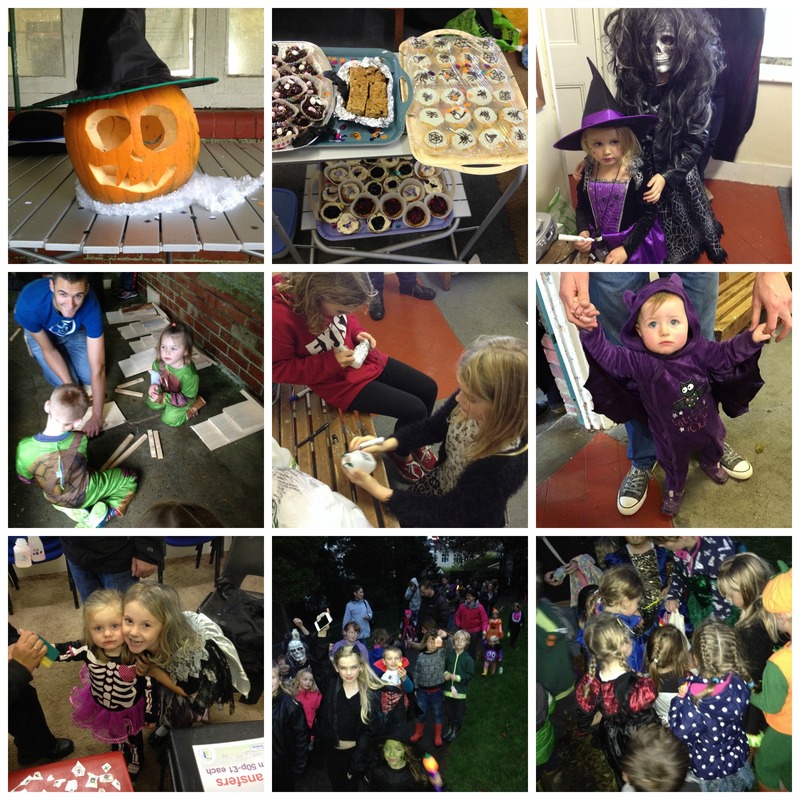 Ghoulishly great fun at our Halloween Spooktacular! At 3pm yesterday we kicked off our first Friends of Dunvant Park Halloween Spooktacular and I think all are agreed it was a great success. Several bat boxes were built which will be going up in the trees sometime soon (we even saw some of our winged friends checking them out while we were packing up!) and I’ve had reports the glowstick lanterns were still going strong at 3am this morning! Thank you to our volunteers who baked some delicious cakes and a wonderful beef pie, and to PCSO Angela Clarke who did the transfer tattoos. Over £100 was raised for our ongoing park improvement projects. The next Friends of Dunvant Park Group Meeting is to be held on Monday 19th October 7.30-8.30pm at the Gospel Hall on Dunvant Road. Coming soon our Halloween Spooktacular! 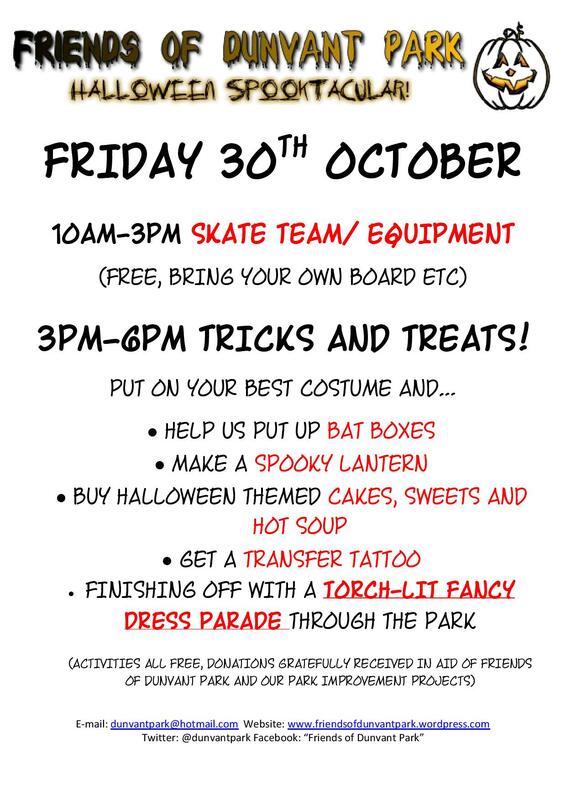 Join the Friends of Dunvant Park for a day of free fun on Friday 30th October. The Council Skate Team will be bringing the mobile ramp at 10am until 3pm, so bring your board or scooter and get stuck in! Then from 3pm in and around the Pavilion we will be having a whole host of tricks and treats like lantern making, cakes, sweets and soup, transfer tattoos and glow sticks on sale and finally as the sun goes down a fancy dress torch-lit parade through the park. Make sure you come in costume! As always, volunteers needed so get in touch at dunvantpark@hotmail.com, on the Facebook group https://www.facebook.com/groups/1422053061411930/ or on Twitter @dunvantpark. Fun Day Rescheduled! 12th September! The Fun Day has been rescheduled for Saturday 12th September. Please spread the word. Over £400 was raised last weekend at the Killay Community Council auction so we are on our way towards the money needed for the new play equipment. Come along to Killay Community Council’s music event this Saturday, 29th August and take part in a great auction in aid of Friends of Dunvant Park. Up for grabs are a signed ball, from Ospreys RFC, dog grooming session from Wags Doggy Boutique, 2 Pairs of Ospreys tickets, a gas barbecue from Coop Funeral Services, 1 hour Bentley Drive from M. Woolacott and die-cast model cars from Lord Mayor John Newbury. Please come along and dig deep, its for our play equipment fund. 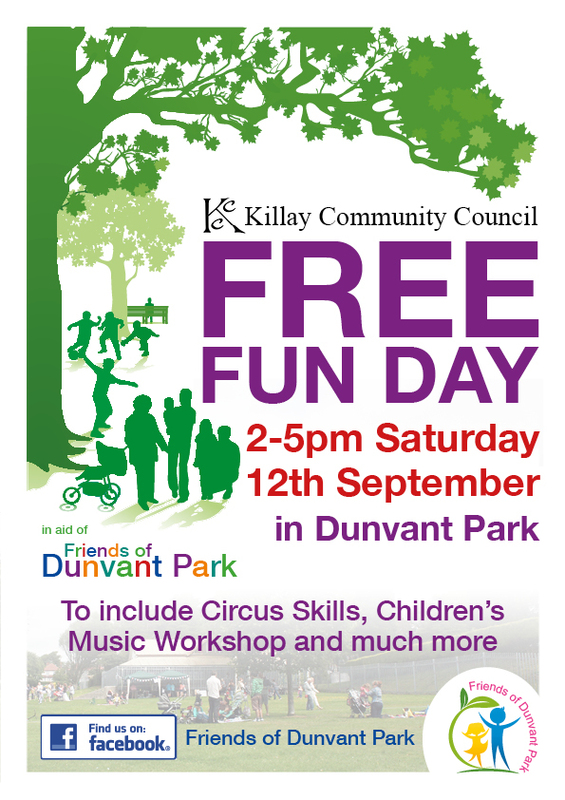 Due to the continuing rain and poor forecast for Sunday the decision has been made to cancel the Killay Community Council and Friends of Dunvant Park Fun Day on Sunday. We do not have enough undercover space or suitable rain-safe electrics and feel that turn out would be poor anyway. We hope to reschedule soon so watch this space. The raffle and auction will continue to go ahead at the Killay Square music event next weekend. Prizes are coming in thick and fast for our raffle which is taking place at Sunday’s Park Fun Day. All proceeds go to Friends of Dunvant Park and our play equipment fund. Full confirmed list available on the day. Thank you very much to the generosity of the shops and businesses in the Killay/ Dunvant area.